Recently, I have been inspired by all sorts of photos on Pinterest. 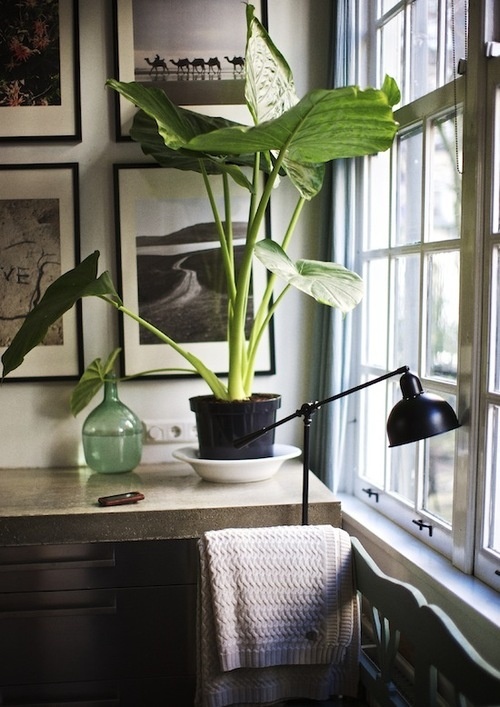 These photos happen to have one thing in common — a house plant. 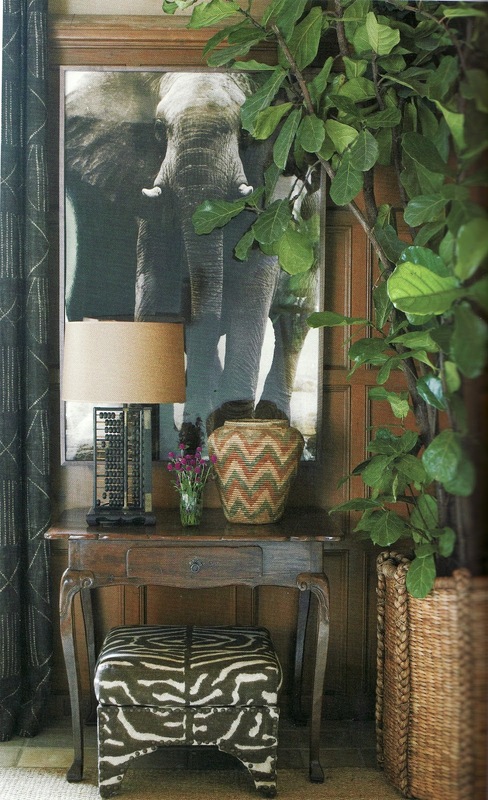 Which reminded me how using house plants in decor is a great visual tool. Plants (living objects) help to break up all the hard objects and knick-knacks we tend to collect. These days you can use almost anything. I’ve seen cactus, succulents, herbs, small trees and so on. 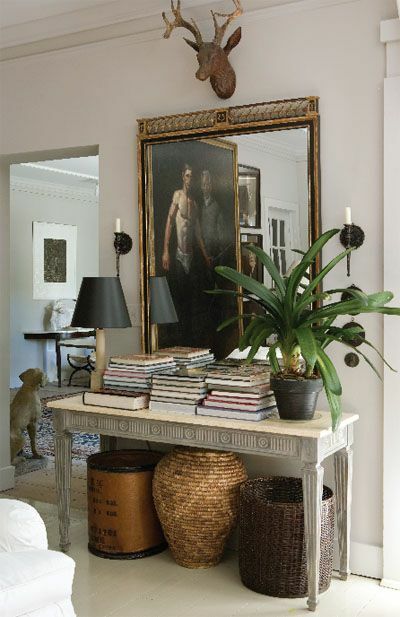 Perched on books or placed in the entry, plants add texture, color and life to our homes. 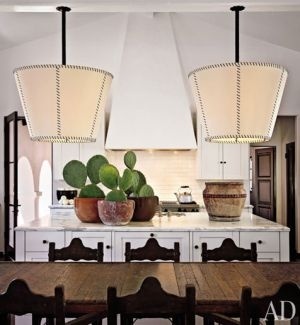 You can place a tall palm in that corner you don’t know what to do with, put a funky succulent on your bar or a cactus on your bookshelf. And, you can pick up a fun/funky plant (1 to 5 gallon) for under $15.00, which is usually cheaper than a dozen roses and last a lot longer. 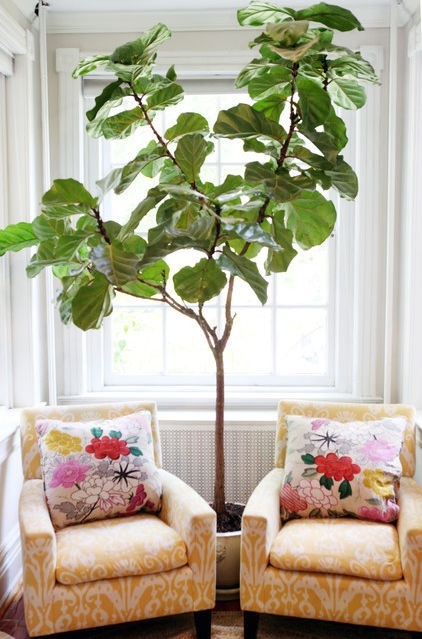 I love this look — a Fiddle Leaf Fig Tree in a large basket. I am actually off to buy a plant for that corner I don’t know what to do with — I’ll post pictures later.